It is important your child’s vision is monitored from an early age. This is because poor eyesight can damage a child’s visual development as well as affect their performance at school. A number of common and easily corrected eye conditions (or refractive errors) can cause children to struggle with simple reading and writing exercises. It is important therefore you are vigilant where your child’s eyesight is concerned, as often they will be unable to tell you whether they have a vision problem or not. Children with short sight (myopia) may have difficulty focussing on the whiteboard at the front of class, whereas those with long sight (hyperopia) may struggle with reading books. Children with astigmatism may struggle to see clearly at all distances. These conditions (if left uncorrected) can have a negative effect on a child’s literacy skills as they progress through school. It does not matter how old your child is, even if they cannot yet talk or read. At Douglas and Cobane we have a range of tests designed to detect such visual anomalies. Colour vision problems can also affect your child’s learning. It is more common amongst boys and can directly influence their career choices later in life. 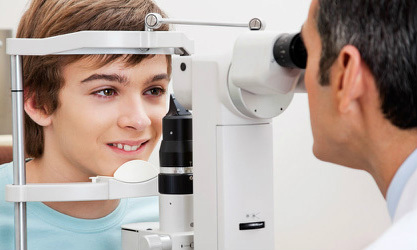 It is recommended your child has an eye test at least every 12 months. They should certainly have their first check up before they attend school. Eye tests are free for children under the NHS, and you do not need to worry if your child needs eyewear. We have a wide range of hard wearing and trendy frames suitable for all ages. They will stand up to everyday wear and tear and ensure your child’s vision is fully protected. For further information on children’s eye health or to request an appointment contact us.